Welcome to ‘France et Moi,’ where this week I am talking to journalist and author Deborah Jacobs about what France means to her. Deborah L. Jacobs is a lawyer, entrepreneur and award-winning journalist who has covered everything from travel to taxes. 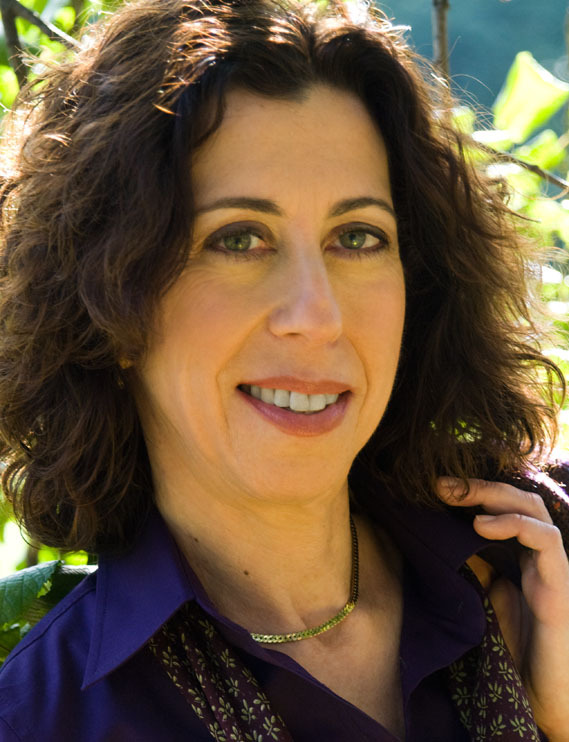 She is the author of Estate Planning Smarts, a bestselling guide for consumers, and the new book, Four Seasons in a Day: Travel, Transitions and Letting Go ofthe Place We Call Home, about how she quit the job from hell and planned to Airbnb her way through France. You can read my review here. Firstly, I think France is a special place and it is famed for many things including its cheese, wine and diverse holiday locations plus, dare I say it strikes and dog poo littered streets. What do you think makes France so very unique and “French”? Deborah: The less frenzied, more gracious lifestyle. Every conversation starts with bonjour and ends with bonne journée (have a good day), and on Fridays, bon weekend. Outside of Paris most stores, including the boulangerie, close for at least two hours at lunchtime. It’s customary to linger at a café for as long as one wants over one cup of coffee or a glass of wine. If you get a pastry to take out from a boulangerie/patisserie, chances are the clerk will wrap it like a gift – either in a tiny box or put it on a silver-foil square plate and fold paper over it in the shape of a pyramid. And the merchants don’t scowl (or seem to care) if you ask for a small quantity of something – whether it is a chunk of cheese, a slice of ham or a single piece of fruit – at the market. One Saturday, in the Bayonne market, after I had already paid for my purchase, the vegetable vendor asked me, “Vous ne prenez pas de persil?" (Don’t you want to take some parsley?) I shook my head. He reached into a plastic crate and, with two hands, presented me with a bunch of parsley, as if it were a bouquet of flowers. I’m sure he has long since forgotten this flirtatious gesture, but I will remember it forever. 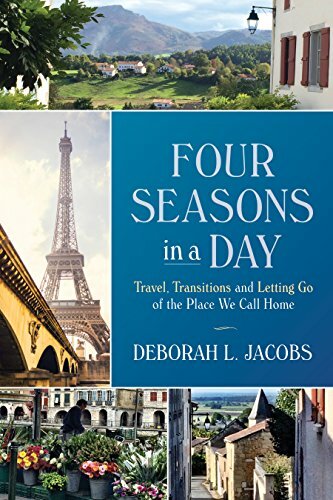 2) Your travel memoir, Four Seasons in a Day, has recently been published. Can you tell us how the idea for this book came about? Deborah: During the year that my husband and I spent planning our first lengthy French sojourn, I envisioned writing a book about the forces that cause baby boomers to leave the workplace sooner than expected – something that had happened to both of us. While living in France, I was going to focus on that project. But, as so often occurs with foreign travel (and life), nothing went according to plan. And when that happened, I began to write about it. At least a few times a week, I turned my notes into e-mails to friends and family whom I thought they would interest. Soon I became so occupied with this correspondence that I put aside the other book idea and started this one. 3) France has some beautiful cities, and there are a few that constantly battle to be my favourite. What is your favourite French city, and why? Deborah: Of course I adore Paris and visit it every time I am in France, but since I come from a big city (New York), I seek out smaller, less frenetic cities, and there are many wonderful ones in France. Both Nice and Avignon, in the south – we recently rented an apartment for a week in each place – would be on my short list. So would Rennes (in the east of Brittany in northwestern France), where we spent just one night, went to the fabulous Saturday market and vowed to return for a longer stay. While living at the foot of the Pyrenees in French Basque Country (Le Pays Basque), near the Atlantic seaboard in southwest France, I discovered the city of Bayonne and fell in love with it. Built at the confluence of the Adour and Nive rivers, Bayonne was for several centuries a major commercial centre. Today artisans’ studios line the cobblestone streets of the old city. Of all the markets I have been to in the world, the setting of the Saturday morning market in Bayonne, where we became regulars, is among the most beautiful. Vendors set up their stands along the river, creating an explosion of colours. While waiting to be served, shoppers have a view not only of the produce but also of the river and half-timbered four- and five-story Basque city houses on the opposite bank. There’s a photo of that scene on the cover of Four Seasons in a Day. Bayonne is also a vibrant academic city that attracts people of many nationalities. I sometimes fantasize about spending a semester teaching writing in France. If I ever did that, Bayonne is where I would like to teach. 4) You have spent quite a bit of time traveling around France. If money and commitments were no object, where in France would you like to own a property, and what sort of place would it be? 5) Every region in France has its own culinary specialty. Was there one regional dish you fell in love with on your trip? Deborah: In Le Pays Basque our favourite regional dish was axoa. The pronunciation (AH-tcho-a) roughly approximates the sound of a sneeze. To the American palate, it is reminiscent of chile but without the beans, and there are probably as many renditions of it as there are varieties of chile in the U.S. Axoa can be made with either roughly chopped veal or beef, and an ingredient in many recipes for it is Espelette pepper – either whole or in powdered form. Though we prepared most of our own meals while living in France, with so many delicious versions of axoa available – in restaurants; as takeout from butcher shops; and even factory-bottled, at supermarkets – we saw no reason to cook this dish ourselves. Why do all the chopping, pepper peeling and simmering when so many other people had already perfected the recipe? Deborah: I like to drive into a French village shortly before lunchtime, look for a busy boulangerie/patisserie, and watch what the locals are buying. Before I make my choice, I ask the person behind the counter what the specialty of the house is. Offerings can vary from day to day; the selection tends to be best on Fridays and on Sunday mornings, as people get ready for weekend get-togethers. The most memorable item I discovered this way was a light, fluffy macaron – this one red-tinged and filled with ganache caramel and Espelette pepper, bought at the Boulangerie Patisserie Berterreix in the village of Espelette (home of the famous chile pepper). Produced only from May until late October, these ethereal cookies cost 0.90€ apiece, and dissolve in the mouth in a sweet and spicy blend of chocolate, caramel and pepper. 7) What is your first memory of a trip to France? Deborah: My family lived in post-war Germany when I was a preschooler, courtesy of the U.S. Army, and during that time we visited Paris on a couple of occasions. As we prepared for the first trip, my mother read me Kay Thompson’s classic story of Eloise in Paris, illustrated by Hilary Knight. Like Eloise, I got a special “Paris dress” as a souvenir. Though I don’t know for certain, I think it’s safe to assume that my Paris dress, unlike the one that was custom-made for Eloise, was not designed by Christian Dior. Also, unlike Eloise, I was not allowed to sit at Fouquet’s restaurant and spray my toes with a seltzer bottle; plunge in the fountains; or give my pet turtle a bath in the hotel bidet. (In fact, I didn’t even have a pet turtle.) But I found my own fun in Paris when I ate a double ice cream cone for the first time – in the Tuileries Garden. The idea of a double cone made such a big impression on me at age 4 that, when my grandmother came to visit us overseas and we talked about going to Paris together, I reportedly said, “We must go for ice cream in the Tuileries Garden.” She told that story for the rest of her life. 8) Do you have a favourite French tipple? Deborah: My “house wine” in France is La Cave d’Augustin Florent Bourgueil, produced from the cabernet franc grape. While living in Le Puy-Notre-Dame – a tiny Loire Valley village surrounded by vineyards – I discovered this particular wine the way I always shop for wine in Europe: by shadowing residents through supermarket wine aisles and watching what they buy. I have served this complex, very fruity red with hints of raspberry to a couple of wine connoisseurs. Only after they praise my selection (€4 per bottle) do I reveal my secret source, along with my belated discovery: La Cave d’Augustin Florent is the house brand for the Carrefour chain of supermarkets. 9) France has many different cheeses, a silly question, but which French cheese are you? A hard and mature Tome, a soft, fresh and lively goat cheese, the creamy and rich Camembert or maybe the salty and serious Roquefort? Deborah: The French cheese with which I most strongly identify is Mont d’Or, or Vacherin du Haut-Doubs. It is a seasonal delicacy available from late October until March, and since autumn is my favourite time to visit France, I look forward to its arrival in the markets. Mont d’Or comes from the Jura Mountains, and apparently the French and Swiss both took credit for it until the Swiss finally conceded. This cheese has a washed rind, a butter-coloured pâte and a hardened brown crust. Made with rennet, its centre looks like pudding, and at room temperature it is so soft that I eat it with a spoon for breakfast. Recognizable by the spruce wood around its crust that holds the cheese together, it is cured on spruce wood boards and packed in spruce wood boxes. It is ideally eaten within a month of ripening, but the more time it is in contact with the wood, the more pleasantly it tastes – and smells – like the forest. All these features make Mont d’Or a whimsical cheese that is not only filled with surprises but also takes on the best of its surroundings. I would like to think that these are traits I share. Deborah: Yes, we plan to rent our house again in the fall of 2017 and return to France for three months. As we have done in the past, we will start in the north and head south, chasing the autumn harvest, before winding up in Paris once the weather gets cold. On past trips this agenda has taken us to the grape harvest in the Loire Valley, the chile pepper harvest in Basque Country and the walnut harvest in the Périgord. This year we want to spend the grape harvest (the vendange) in Alsace-Lorraine, near the German border. I plan to post updates on my travels, writing and speaking engagements on my Facebook author’s page.